There is nothing quite like the Gulf Livery blue & orange paint scheme to make a car look cool and what looks cooler than a GT40? This next car isn't a real GT40, but it looks wicked and bidding is favorable for a buyer at this time. 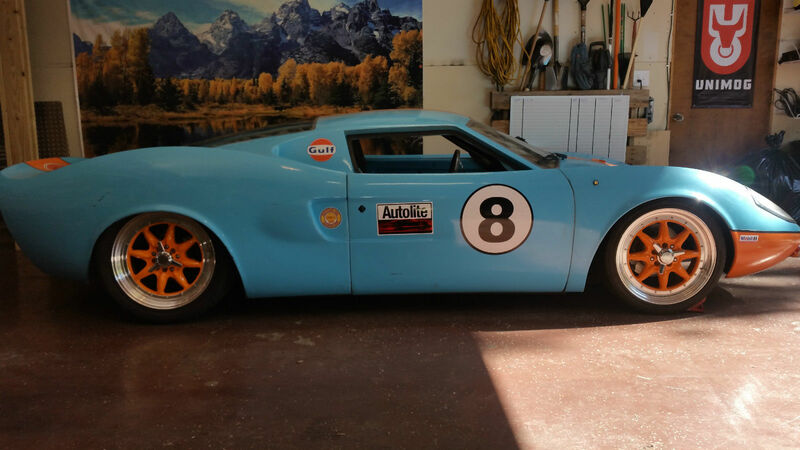 Find this 1973 Ford GT40 Replica here on eBay bidding for $5,050 with 4 days to go, located in Colorado Springs, CO. The seller doesn't specify the original make/model/OE for this kit, but it features a flat-6 aircooled Corvair engine mounted out back and connected to the rear wheels. 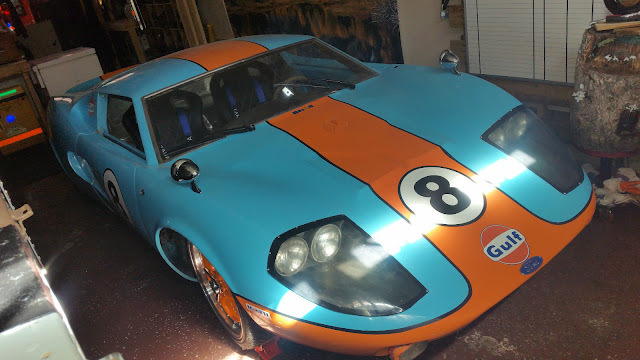 The seller claims it is "rock solid" and "HP modified" but I'd still be tempted to try and convert this thing into a mid-engine V8 for proper GT40 style dominance on the road or track. This is nowhere near a replica, it's at very most a resembler. The writer thinks it "looks wicked"? Put you glasses on, you can't be serious, it's grossly disfigured compared to even a run of the mill replica. How about an electric conversion? I'm not a fan of hybrid or elec vehicles as a general rule but this could be an exception. Use the already installed corvair 6 to charge the batteries?